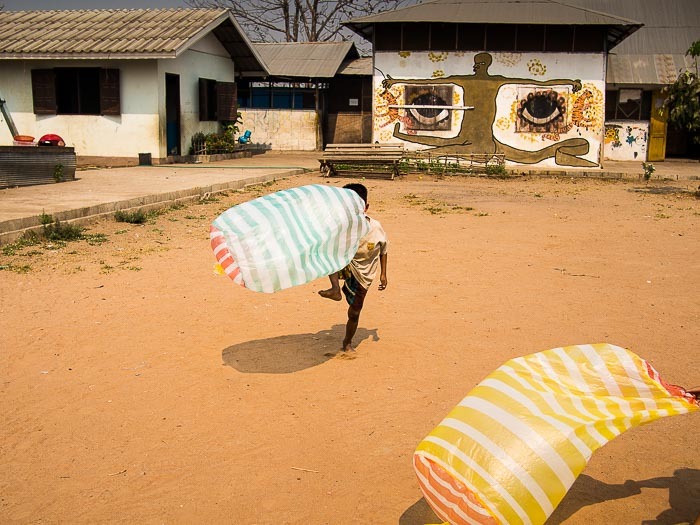 Children play with plastic shopping bags at a school for Burmese refugee children in Mae Sot, Thailand, on the Thai-Myanmar border. It's that time of the year, when photographers reflect on the year that is ending and start planning for the coming year. These are some of my favorite photos from 2014. There are several photos from Thailand's ongoing political crisis as well as photos from other stories I've worked on. A performer at a Mor-Lam concert adjusts her outfit before going on stage. Mor-Lam is a sort of Thai country music that has morphed into elaborate stage show and Vegas style extravaganzas. 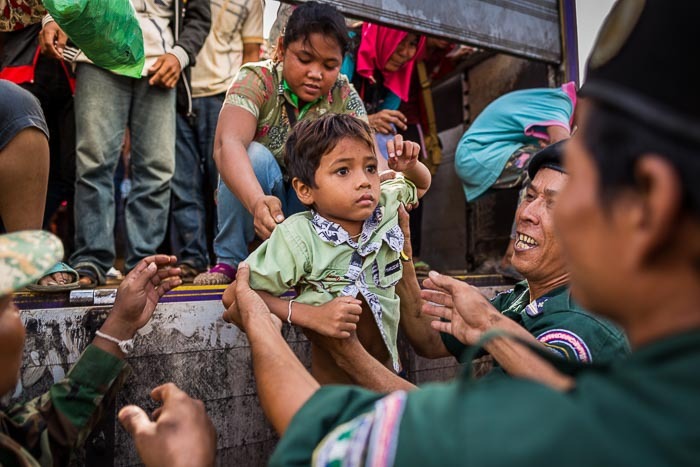 A woman hands her child to waiting police officers in Poipet, Cambodia, during the mass exodus of Cambodian migrants from Thailand to Cambodia.